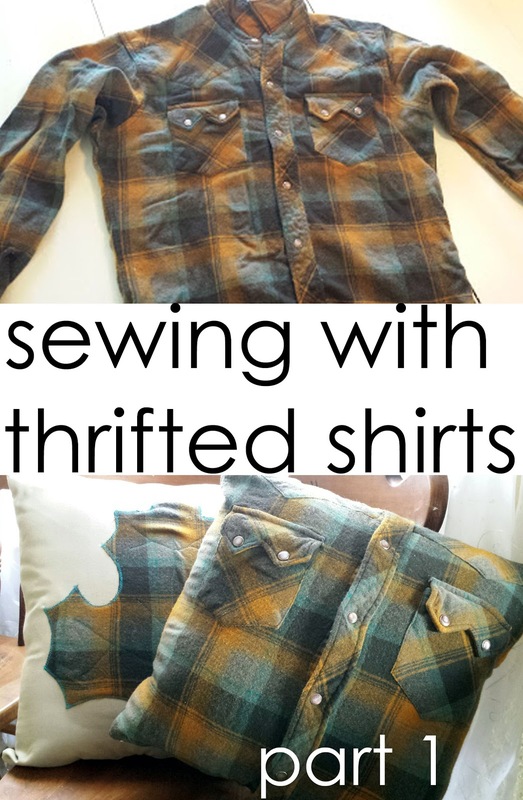 Recently, I shared my tips on sewing with shirts as a great source of fabric, and then how to deconstruct them to get the biggest bang for your buck. Today, we're going to look at my favorite thing to shop for and repurpose -- SKIRTS! Because skirts are pretty easy to work with. 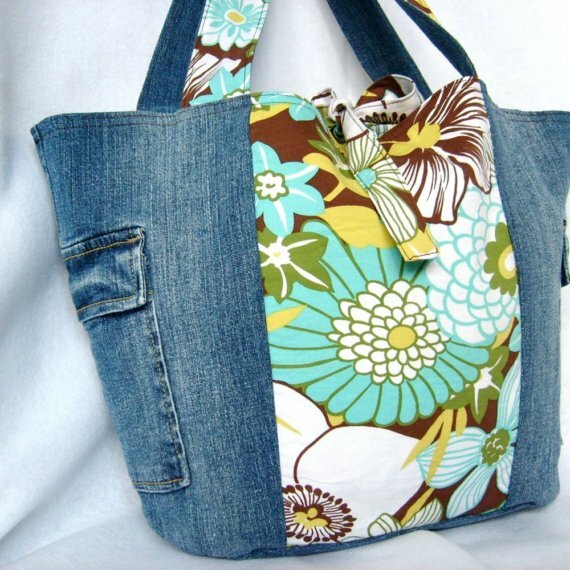 They typically have a lot of usable fabric, and they come in sooooo many pretty fabrics, colors and prints. They're often lined, so you can get double the fabric (even though the lining is usually quite plain, it's still very useful!) 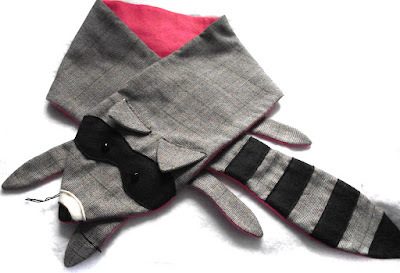 Plus, they're easier to deconstruct, so you'll be sewing that much faster! 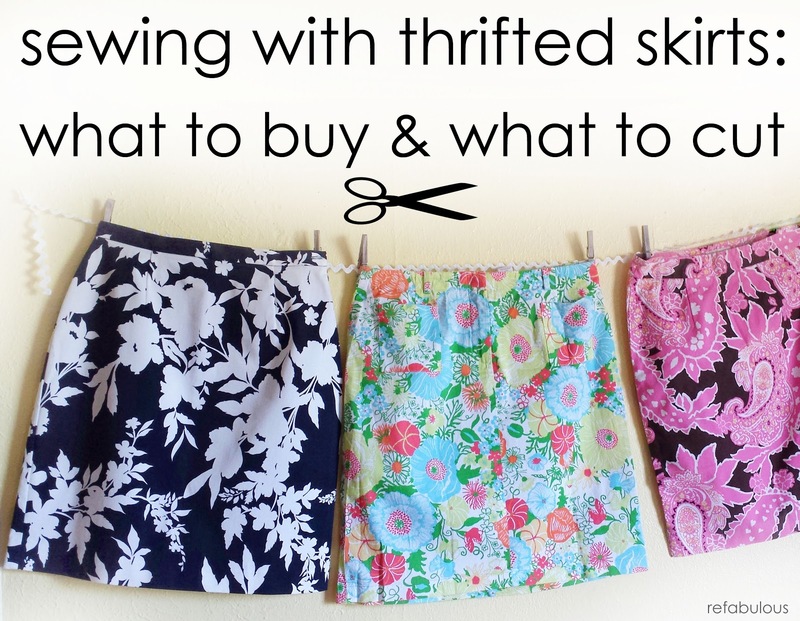 Choosing your skirt. . . .
First, you'll shop for a skirt that will meet your sewing needs. Suppose you're sewing a messenger bag: you'll look for heavier fabrics (bottom weight fabrics) like denim, khaki, twill, duck, heavy linens, corduroy, wool and wool blends. 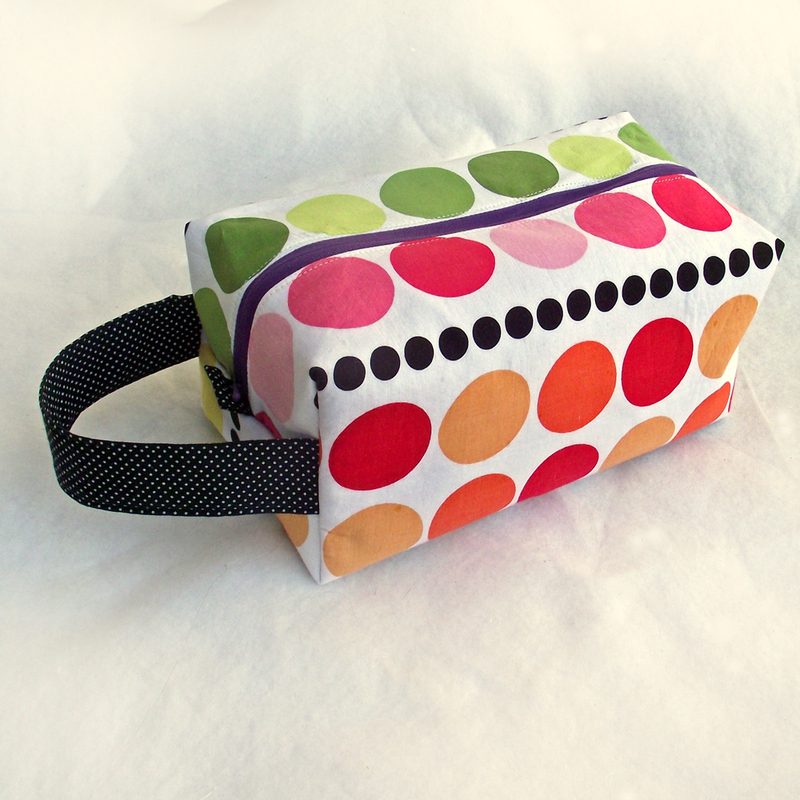 and perfect for a messenger bag or tote! 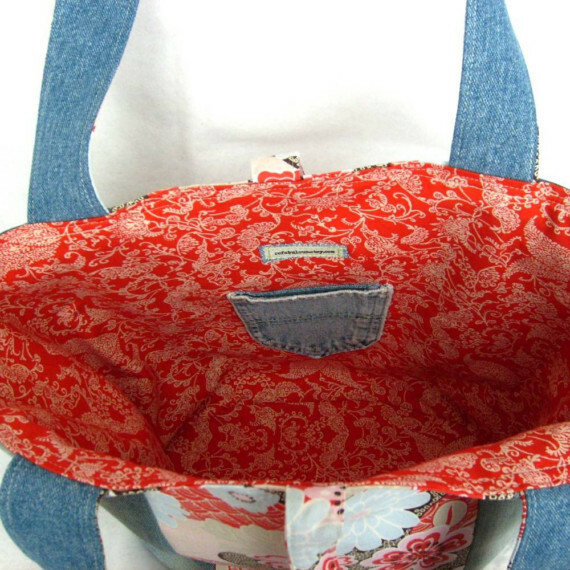 If you're looking to sew an apron, just about any cotton or cotton-blend fabric would do. 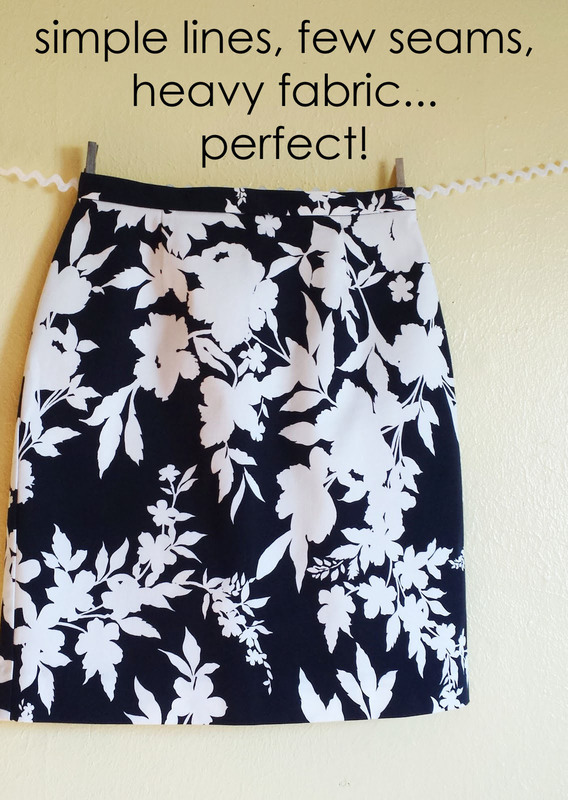 this cotton skirt would be perfect for an apron. . .
and it even has the ties! As a general rule, I steer clear of sheer, stretchy, flimsy or very drapey fabrics (like rayon, satin, silk, lycra) because I personally don't have a use for them. I find them to be more trouble than they're worth; buuuut that's just me. Size matters. . . . 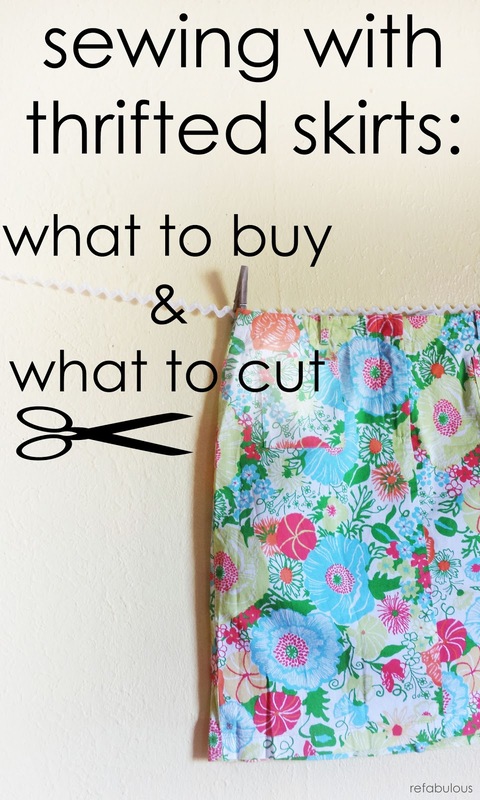 Bigger size, longer skirts = more fabric, and more for your money. 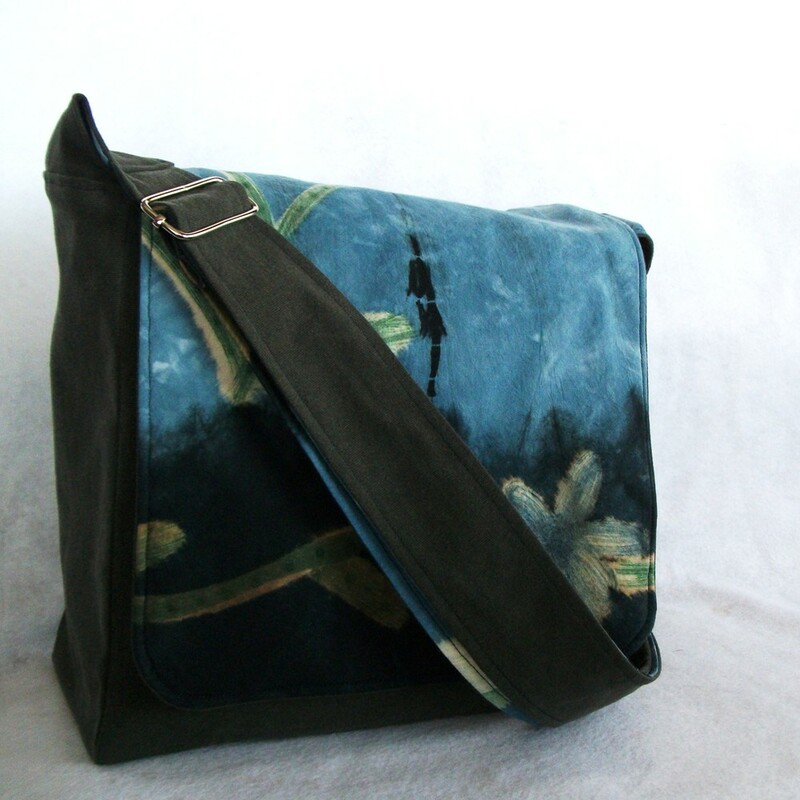 or maybe a couple of winter tote bags. There's an example of my lapse in judgment. I loved the fabric, and bought the skirt, not realizing that there's barely enough fabric for a zipper pouch! But those wrap-around skirts? If you find one in an appropriate fabric that you like, JUMP ON IT. You'll get three large areas of fabric, instead of just two! BONUS! Pay attention to bias. . . . Sometimes a skirt is sewn on the bias, or diagonally across the grain. This may or may not affect your sewing project, but if the grain line is important to your project, then you'll need to weigh if you'll have enough fabric when you use a skirt cut on the bias. 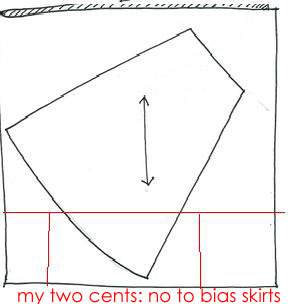 I often pass on a skirt cut on the bias, because I need large pieces that have a straight grain. The fewer seams, the better. . . .
Look for skirts with simple seams -- like one on each side, and possibly one in the back. These are very common. 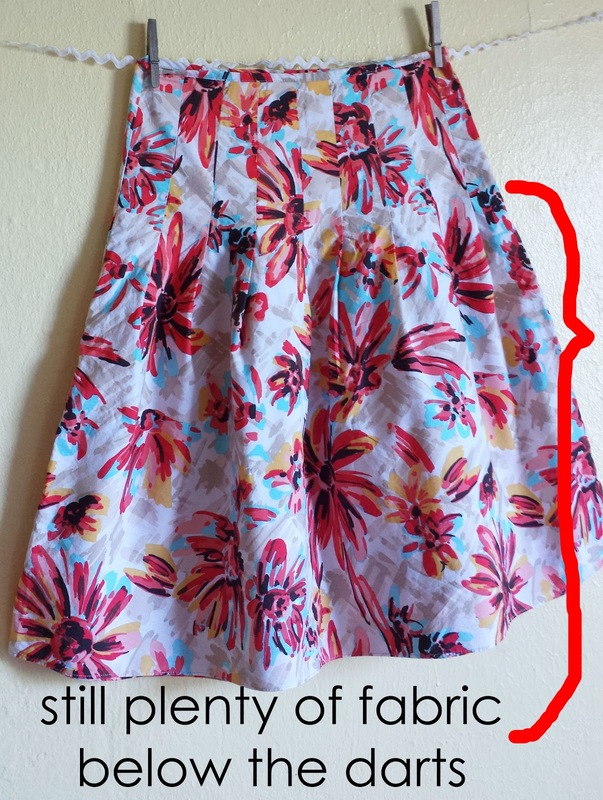 With fewer seams, you'll have larger pieces of usable fabric. This next skirt has an AWESOME print, is a heavier fabric, and I SO wanted to buy this skirt, but. . .
. . . wayyyy too many seams. I would end up with teeny tiny pieces, or pieces of wonky fabric with wavy seams. It's just not worth my time, and it doesn't serve my purposes. Same with this linen one. . . .
Now this one is trickier. It's one where you'd weigh the pros and cons before making your purchase. Cons: Lots of close darts near the waist band = fabric area waste. Pros: Unique print, nice weight to fabric, straight grain (not on the bias) and still plenty of fabric below the darts. It's a YES. Wash it. . . .
Just like with the shirts, I generally toss them all into the wash together (but separating darks, lights, whites, and reds, of course!) and I've only had a few bleed onto themselves and ruin. Heck, I'm a rebel and even wash the "dry clean only" ones. I launder them like I'm going to launder anything else I use, so if it stands up to that, it's gonna work out just fine. However, let me just say that if it's a vintage, rare, precious, delicate, or somehow very special piece, then wash with care. Maybe even hand wash. Use your best judgement for those pieces. 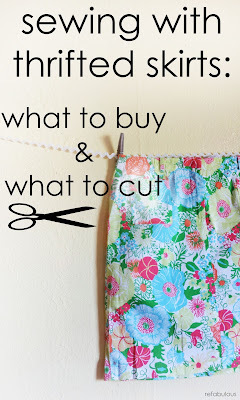 To cut or not to cut. . . .
Not every sewing projects calls for completely deconstructing your skirt, or at all. Again, it depends on your project. If you're making an apron from a skirt, it would be silly to take out all of your seams, only to sew them back again. . . . I know I just warned against buying a skirt with too many seams. But there are exceptions to every rule! Sometimes, a skirt with lots of seams would work well for a certain design, like for this custom ordered apron, made from a client's skirt. . . . I even left the lining in, to add body and twirly-ness to the apron. But most of my projects do require me to deconstruct a skirt somewhat, so this is my easy method of deconstruction. . . .
Cut the side seams of the skirt. . .
First, if the skirt is tacked to the lining, snip those threads. . . .
Then cut the side seam, very close to the seam. Or, cut the actual seam threads with scissors or a seam ripper (if you're the patient type. But I'm not.) Don't cut the lining -- only the top skirt fabric -- unless it's sewn directly to the skirt at all seams for some strange reason. If that's the case, cut through all layers. don't cut the lining yet. Cut along the seam, all the way to the waist band. Repeat for the other side seam. Cut off the waist band. . . . Carefully continue cutting the skirt very close to the waistband, cutting only the top skirt fabric, not the lining. . . . If there's a zipper. . . .
Stop at the zipper. Carefully snip the threads sewing the zipper to the skirt. Here, a seam ripper would be ideal, but I usually just stick with the scissors. DO NOT think you can just pull the zipper up and rip those seams out. I've ruined soooo many large pieces of skirt fabric by rushing and thinking I can rip out a zipper, only to have the fabric tear horizontally -- and quickly -- across that gorgeous fabric. Please don't try that. Once you've snipped all of the stitches connecting the zipper to the skirt, and you've reached the waist band, continue cutting along the waist band again. Continue until you've cut all the way around the waist band. . . . The back seam. . . .
You may or may not want to cut this seam, depending on your sewing project. If you do want to cut it, carefully cut close to the seam. . . . 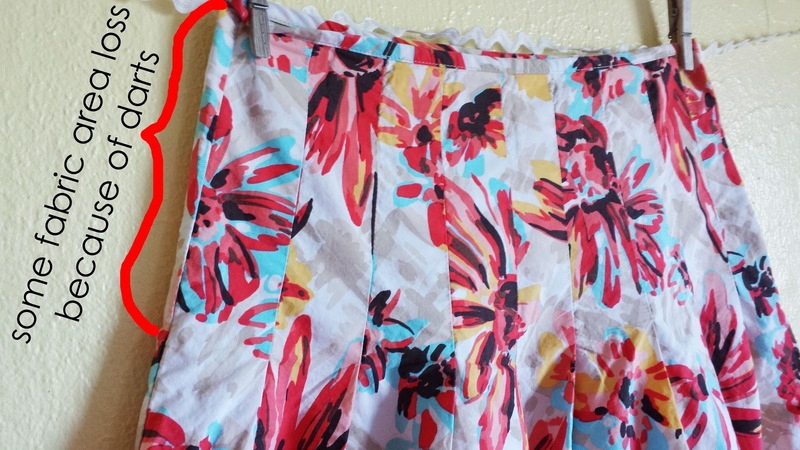 TIP: If there are pleats or darts of any kind on your skirt, typically near where the waistband was, snip each thread carefully and individually (or use your handy seam ripper,) so your fabric will lay nice and flat for your project. Don't rush this part; holes and tears can happen easily! just carefully snip each stitch in the darts. this step is well worth the hassle. Now that you have the waistband removed from the main skirt, you should have the lining still attached. 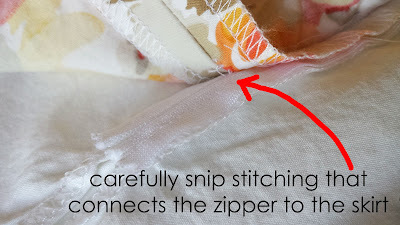 You can now remove the zipper from the skirt completely if you plan to repurpose it, carefully snipping the stitches that attach it to the lining and waist band, until it is free. If you don't want to repurpose the zipper, then cut the seam along the waist band, just like you did the skirt, cutting through the zipper completely. . . . I generally toss the waistband, as there's very little usable fabric there. Sew, my friends! SEW! Because skirts can pack in quite a bit of fabric, there's a wider array of projects you can make with these larger pieces of fabric. Here, the skirt pieces are laid out on my 24" x 24" grid for size reference. . . . I often use plain cotton fabric skirt linings for bag linings or for flat linings! Very utilitarian! 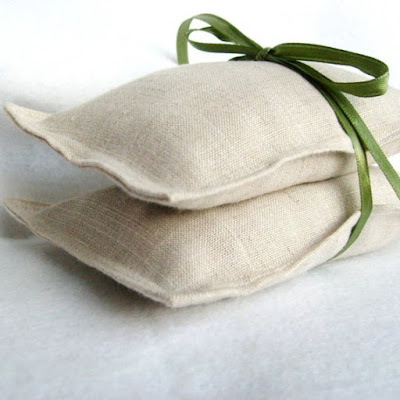 ;) But you can use them for anything where that type / weight of fabric would be appropriate. 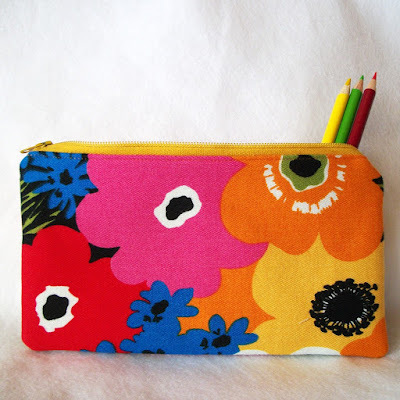 Silky (polyester) linings can often be used to make really neat singed flower accessories, as well as many other decorative and purse or pouch lining purposes. 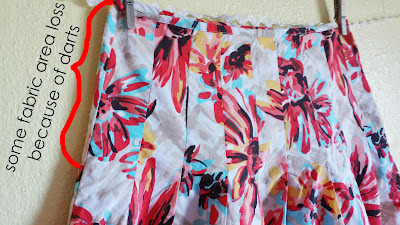 Here are some examples of skirts I've used in my sewing. . . .
just two small pouches from it. So many projects for your newly reclaimed fabrics! If you search "half yard sewing tutorials" on pinterest, or even "fat quarter sewing," you'll find lots and lots of neat sewing patterns and tutorials. Be sure to drop by and follow my sewing board on pinterest for hundreds of my favorite sewing tutorials! Have fun thrifting, deconstructing, and sewing! Let me know if you have any questions; I'd be happy to help! 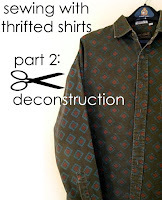 And be sure to check out my other posts on reclaimed sewing with thrifted clothing. . . . Wonderful, well explained ideas. Thank you! Came here following a Pinterest link. Great site! Have you seen the British show "This Old Thing" with Dawn O'Porter. Many of the vintage pieces that she uses cost more - even at thrift shops - than I would pay, but it's a fun show that focuses on re-using clothes and updating them. I'm glad this was helpful! ;) Thank you for dropping by! I shop for secondhand clothes to make doll clothes. Used jeans are great for these clothes. FYI...I think the red plaid skirt is possibly flannel? It doesn't look like corduroy, but maybe it just isn't obvious from the picture. Hi, Anon! The red plaid is definitely a corduroy here.... if you click on the third photo of it, the pic will enlarge and you can see the wales up close and personal. ;) It's an odd skirt for sure! ha! Thanks for dropping by! It's nice to find a fellow up-cycler! At my favorite thrift store, I always check the extra-large dresses; they often have lots of nice fabric. Also I shop for men's extra large dress shirts. I have found like new Hawaiian print fabric in pure silk! Also remember to shop in draperies where you might find lace or velvet or canvas. 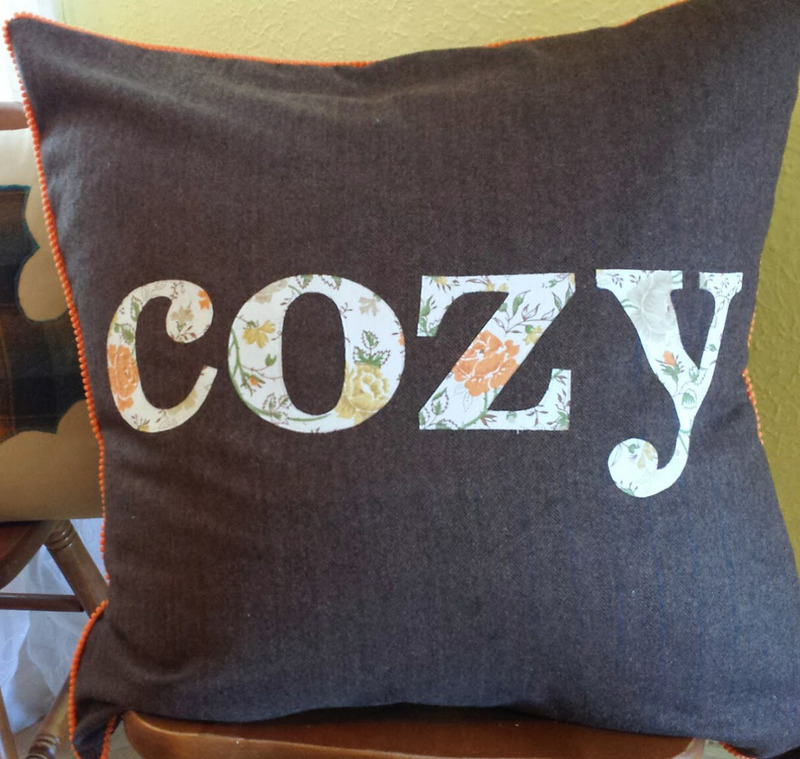 So many fun recycling possibilities! 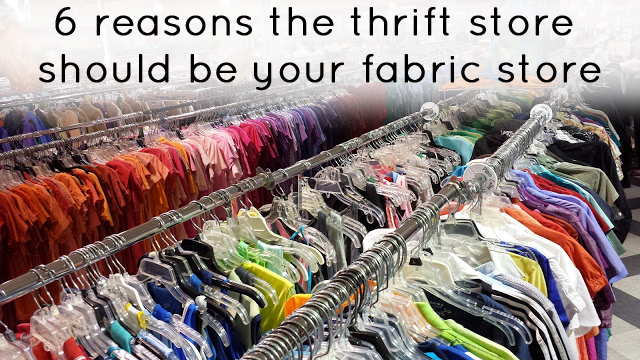 I have had to restrict my thrift shopping because now I have too much fabric! All excellent tips, Lee! And I've had to stay out of the thrift stores for that same reason -- it's so easy to buy all the cool stuff, and I've run out of room to keep it! ;) I'm so glad you dropped by. Really love your ideas! Plan to try some of them myself...thanks so much...Very creative! This and the Men's shirt re-purpose post are so great! I am considering using these to up-cycle into baby-kids cloths and as scraps for appliques on their clothing? Do you think this would work well? Charis, that's a GREAT idea! Yes, these would work very well! Your tutorial is SO much fun... seriously! 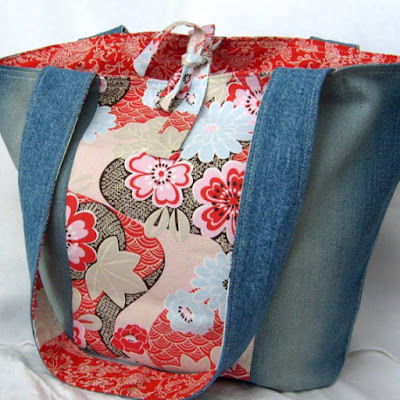 :) And you're right -- perfect for using up fabric scraps. I just discovered your great tips...and know your pain about running out of storage room. I calculate I need to live to 120 to work up all that I have "accumulated"! 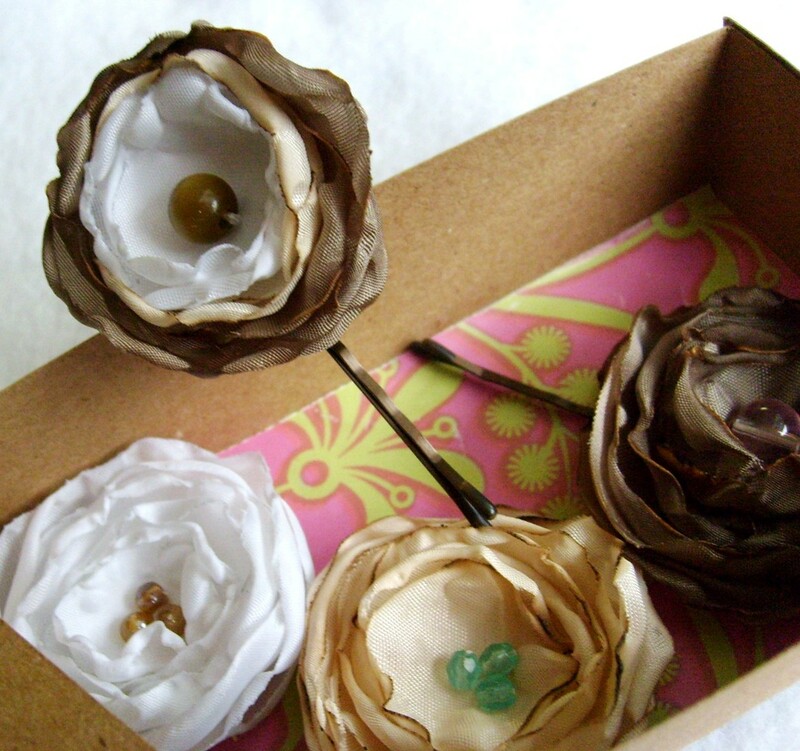 One question: what and how do you make your 'singed flower'? That's new to me. Thank you for your great ideas, and Happy New Year! N.
Here's a link to the tutorial, N! Enjoy! Thank you! I came across this post in my Pinterest feed. I'm so glad I clicked it! 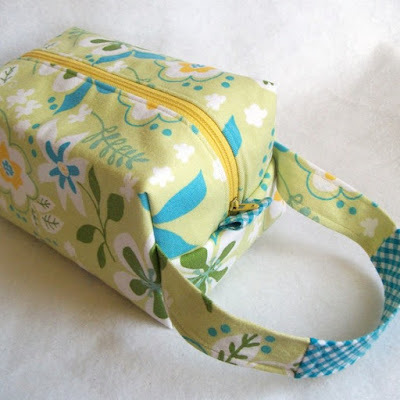 This is, by far, one of the most original and interesting sewing posts I've read. There are tons of repurposing blogs and tutorials but you added a new twist. I love the way you've gone a step further and completely changed the initial item AND taught the best way to get the most from it! I'll definitely be pinning this and following you to see what more you have in store! Thank you again. I wish you many happy stiches and joyful projects. Have a great day!